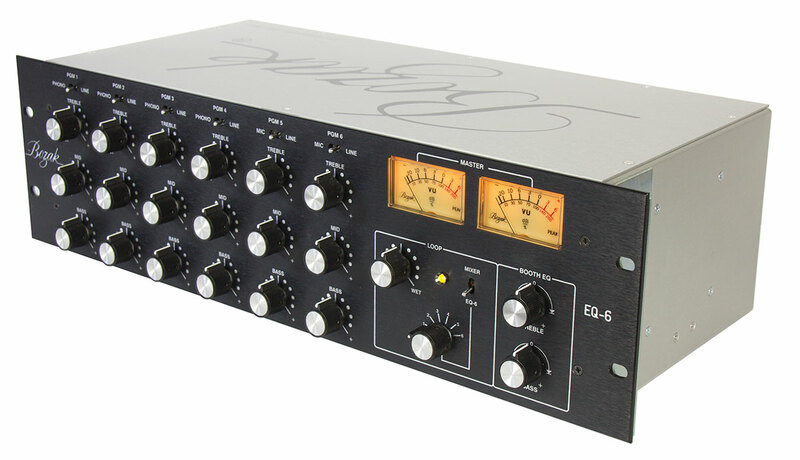 The EQ-6 with its individual Isolator EQ control over the six inputs and coupled with this the routing of the loop and effects across all inputs perfectly complements the Bozak AR-6 mixer. 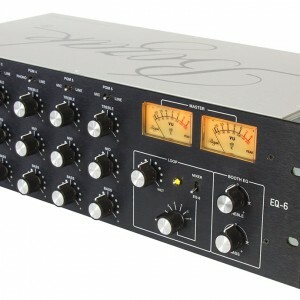 The flexibility of the EQ-6 allows it to be used as a standalone EQ section should you require it. 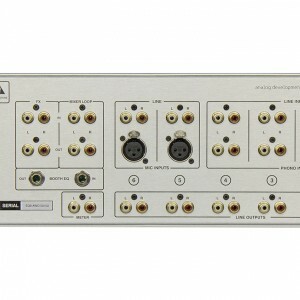 Channels 1~4 are selectable between Phono or Line input while channels 5~6 are selectable between Line or Microphone input. 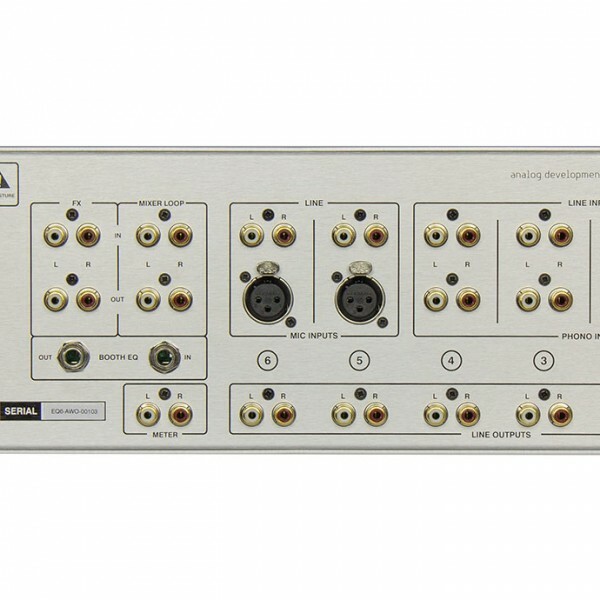 Both the Inputs and the outputs of each channel are on RCA connectors and the output is at line level. 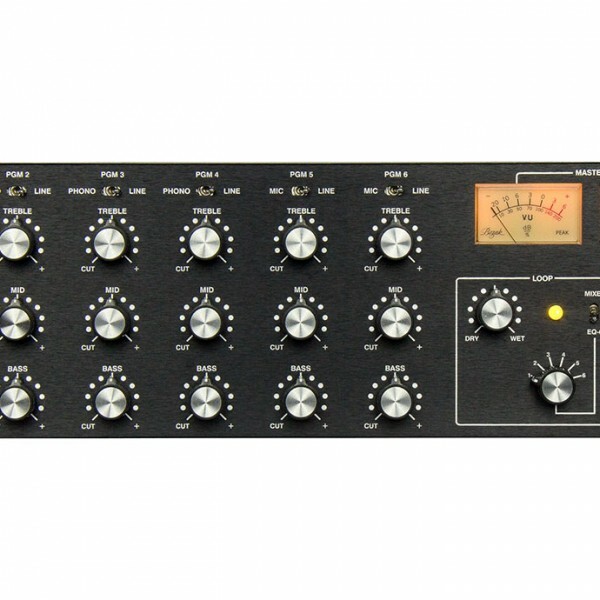 The Loop control allows the DJ to add their choice of effects to any of the six input channels or add effects to the master loop of the mixer, a mix control is included to allow the DJ to adjust the mix between the Dry (without effect) signal and the Wet (with effect) signal. When connected to the master output of the mixer, the stereo analogue VU meters will display the main output of the mixer and feature LED peak indicators. The Booth EQ features adds Bass and Treble control for the booth output of the AR-6 mixer. Fitted with ALPS pots, carbon resistors, polyester mylar capacitors and ultra low noise hi-fi grade toroidal power transformer all culminating in Bozaks signature rich warm sound. 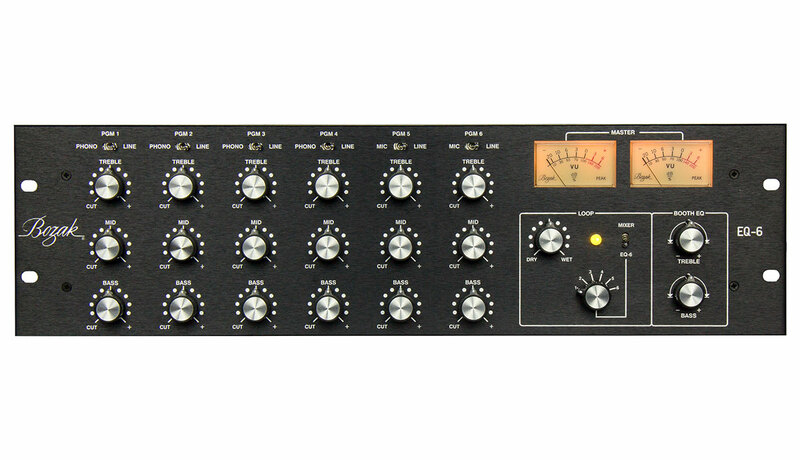 3-Band Isolator EQ on each channel. 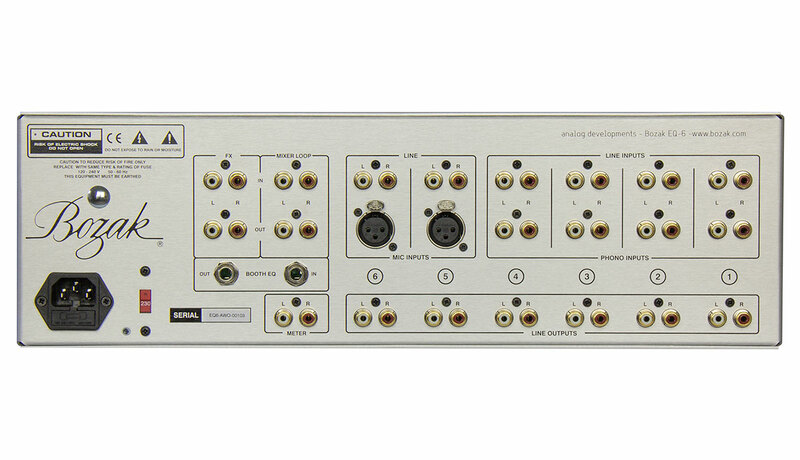 Line outputs on each channel. Line level FX in and outputs. 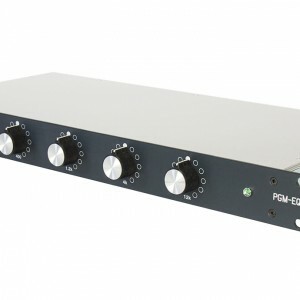 Flexible FX routing to each input or master. FX wet and dry mix. 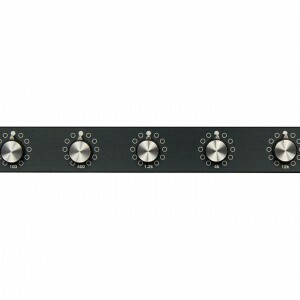 Stereo analogue backlit VU metering with Peak LEDs. Quality Gold RCA and Neutrik Gold XLR connectors. 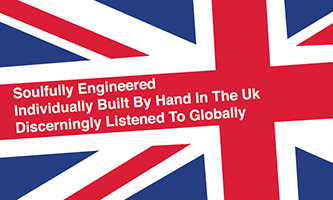 Anodic printed front panel, the text will never wear off.